﻿ Jilian Tourist inn, Palawan | FROM $19 - SAVE ON AGODA! "It is 5-10 minutes away from the airport and is accessible t..."
Have a question for Jilian Tourist inn? 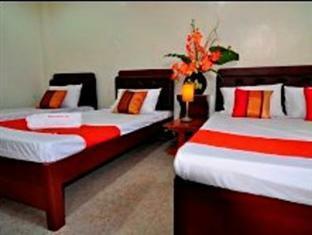 Ideal for fun and relaxation, Jilian Tourist inn is located in the Puerto Princesa area of Palawan. The hotel lies 0.5 Km from the city center and provides accessibility to important town facilities. A haven of rest and relaxation, the hotel will offer total renewal just steps away from the city's numerous attractions such as Puerto princesa city colesium, Robinson's Place Puerto Princesa, NCCC Mall. 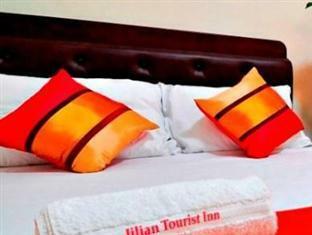 At Jilian Tourist inn, every effort is made to make guests feel comfortable. To do so, the hotel provides the best in services and amenities. 24-hour front desk, Wi-Fi in public areas, car park, room service, airport transfer are just a few of the facilities that set Jilian Tourist inn apart from other hotels in the city. Hotel accommodations have been carefully appointed to the highest degree of comfort and convenience. In some of the rooms, guests can find television LCD/plasma screen, non smoking rooms, air conditioning, wake-up service, desk. The hotel offers fantastic facilities, including massage, to help you unwind after an action-packed day in the city. 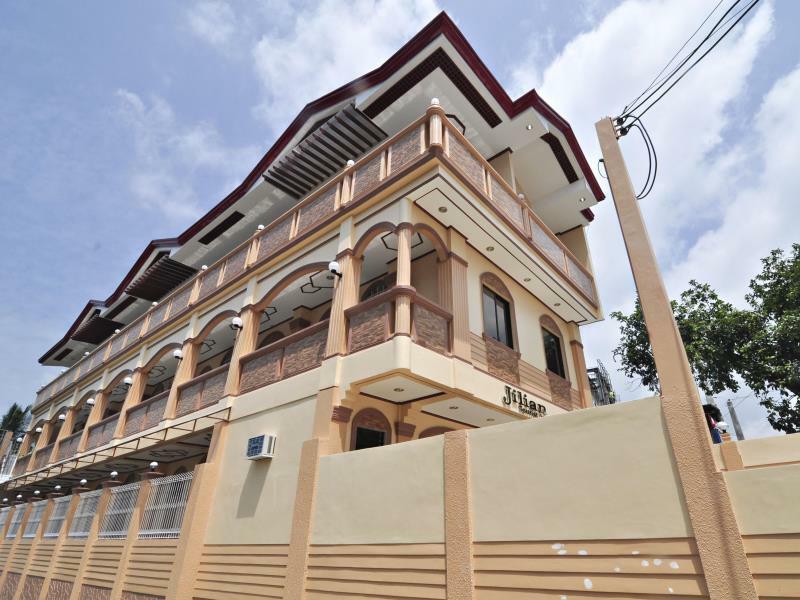 Whatever your reason for visiting Palawan, the Jilian Tourist inn is the perfect venue for an exhilarating and exciting break away. "Staff are very nice and accomodating." There so many light is not working and so dim.. you cant read, you can't study and there wifi is so poor. I cannot recommend it to my friend. Affordable and easy access for almost tourist destination in Puerto Princesa. Located at the heart of the city. Easy access to some tourist destination. We stayed a few nights. They picked us up from airport, helped fox a booking error which was my fault and accommodated an extra guest. All with efficiency, no fuss and a smile. Rooms are simple, comfortable and clean. Would stay again. Service, location, fit the budget. The manager (Benjamin) took care all my tour arrangement for under ground river tour. Stay was comfortable and the room was kept in order by staff. We stayed for one night waiting for the plane to Manila. Not much around the hotel, but good for a night to crash. Really helpful staff and free airport shuttle. Stay at this hotel is good since it is near the supermarket and mall. Also near to restaurants. Staffs are helpful. Place is near to airport 15-20mins away only.Easy access to public transportation.Rooms are always being cleaned by staff. Hotel is good for 1, 2 days stoping. Room was so big. Breakfast was poor. Only rice and egg, coffee, not tea. Hotel is little bit far from the centre. Need to take the tricycle. Its a small hotel with friendly staff. Needs some renovations but good enough for a one night stay. In Puerto Princesa is not much to see anyway. Excellent service from all the staff. Rooms are a bit sparce but adequate. We didn't bother with a travel agent or setting up travel tours as we already knew that the Underground River was not available as it books up (permit access) 30 days before. But when we arrived at the Jilian Hotel they took us all in and they were all so amazingly helpful. Nene took us across the road to the Coliseum to apply for permits and even offered to follow up for us the next day. above and beyond the call of service. Renting a motorbike, no problem. Honda Bay tour? We did it all including the Underground River and always knew that the Hotel Management and staff had our best interest in their hearts. Thank you.